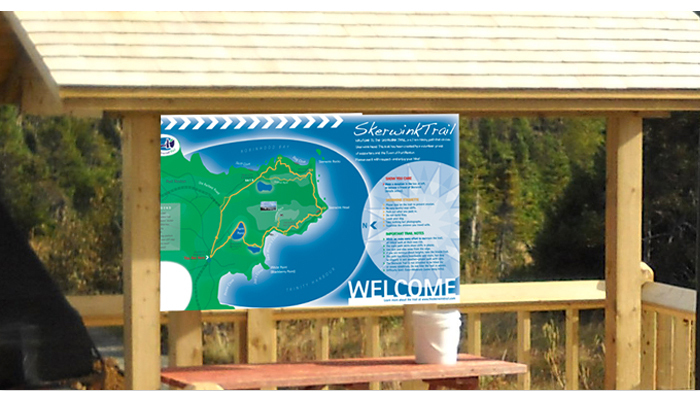 This project called for the development of three different components: a trailhead sign, a handout trail map, and a website. Vis-à-Vis Graphics walked the trail, absorbed the sights and used the signature attraction to create a logo. The style of this logo was carried through in the marketing materials, all of which are recognizably part of the “Skerwink Trail” brand.